Congratulations to our Client Liz and Roo for their feature on PARENTGUIDE News! Complete your nautical crib bedding with the navy and white anchors changing pad cover from Liz and Roo! It coordinates with the nautical, classic oxford, and navy metro collections. 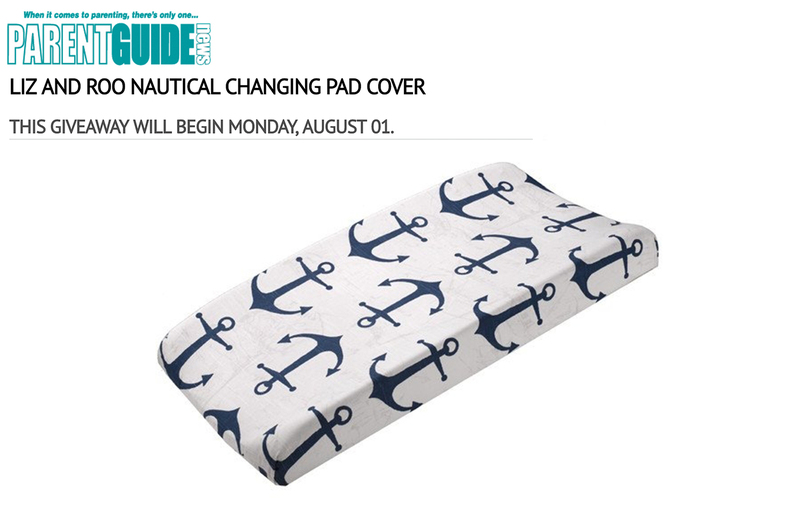 The changing pad is contoured and fits most standard pads. Liz and Roo is a bedding company that specializes in bumperless crib sets and mix-and-match separates, as well as bedding for toddlers and beyond. They offer sophisticated fabrics in on-trend colors and patterns that still have that element of fun that every nursery needs. Oh, and every piece of their line is made right here in the USA!